3 years and 18 million dollars later, Harry and Peter Poulakakos have opened their massive 28,000-square-foot Harbor House restaurant complex inside of Pier A at Battery Park. The prolific restaurateurs have 10 projects below Chambers Street including the James Joyce homage Ulysses Folk House and the Irish gang-themed Dead Rabbit. They took control of this run-down landmark back in 2011 with plans to open a multi-level restaurant, complete with private dining rooms, picnic tables, and everything in between. As reported by the Tribeca Citizen, the casual first floor of the Harbor House, which soft opened this week, will be open daily from 11 a.m. to 2 a.m. The menu includes typical pub fare with an emphasis on seafood.The first floor features a nautical design complete with pipes from steamship engine rooms. 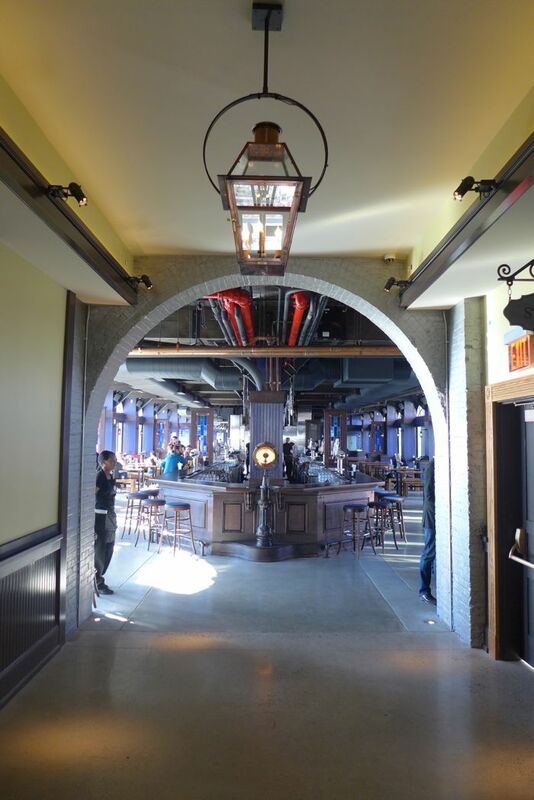 It also houses a beer hall measuring about the length of a football field with an open kitchen located in the middle. Both old style European brews and contemporary beers are being served. It has 400 seats indoors and almost the same amount on the decks overlooking New York Harbor. The iconic clock tower has been repaired and restored. The second-floor dining room is split into four, named for a maritime police boat, a firefighter patrol boat, the nearby Lady Liberty and W.R. Grace, the mayor who signed off on the pier. These rooms were serve as formal dining rooms and bars, and private room. It is scheduled to open in early 2015. The third floor will provide an event space reserved for community gatherings which also overlooks the harbor.